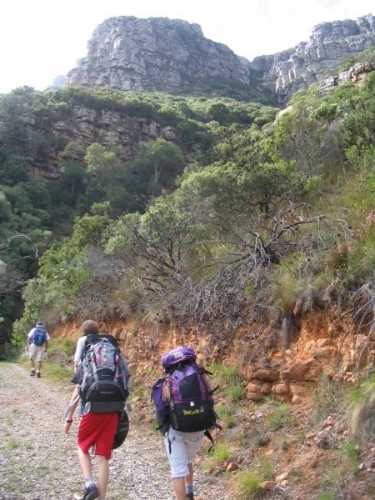 Taking advantage of a rare 4 day holiday in winter when SMC hut was available, we commenced the hike at 14h00 from Constantia Nek, going up the Bel Ombre Route. Heavy rain was forecast for at least one day of the hike and the weather was cold but not wet on the first day. 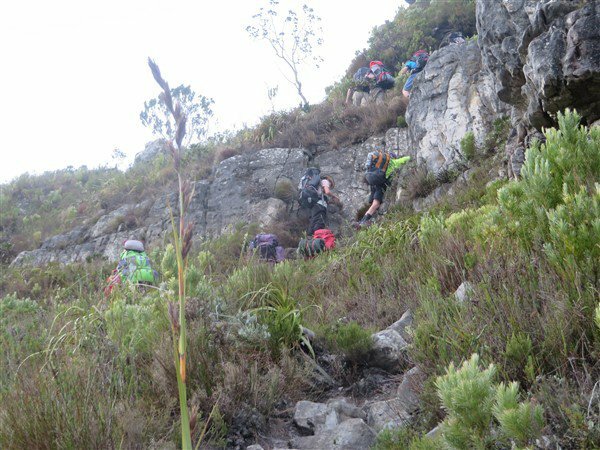 The route up Bel Ombre was an interesting route with great views over Orange Kloof and swirling clouds to liven the experience. We made the Jeep Track at a reasonable time but with cold weather and a clear route, the fast hikers went ahead with the key while the slower hikers came along behind. 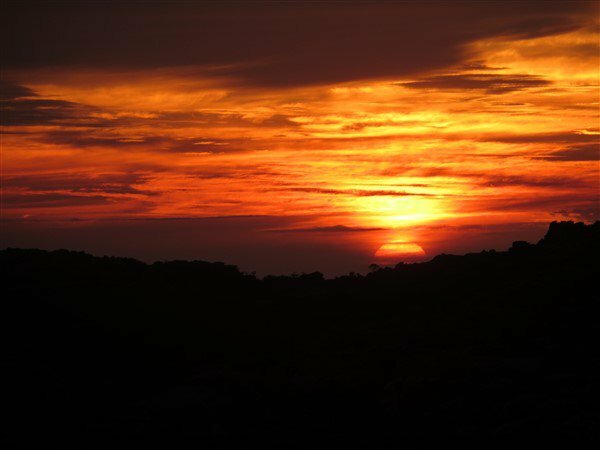 This did give us a fantastic sunset view with clouds and sun combining to give a sunset not often seen on the mountain. In the distance we could hear the siren closing the cable car – a kind of eerie feeling knowing that everyone else was leaving the mountain. We all made it to the hut as darkness fell and settled in with a fire. Michael introduced the scouts to a new game to pass the time and we did a bit of compass and mapping training. Sunday weather proved to be pretty cloudy but we set off quite late for Tranquility Cracks which we found fairly easily and after some exploration had and early lunch at an out of the wind spot. From there we hiked towards Grootkop but the clouds thickened and after a time we decided to turn back as visibility was minimal. Back at the hut we had an early supper and then went out for a night walk around the dams – a pleasant if cold experience. Monday weather was somewhat wetter, it having rained in the night and the clouds were still low. Since it was not actually raining however, we packed bags and went to Rendevouz Cave. From there we meandered through the Valley of the Red Gods, the Valley of Isolation and worked our way round through Echo Valley back to the hut for a late lunch. 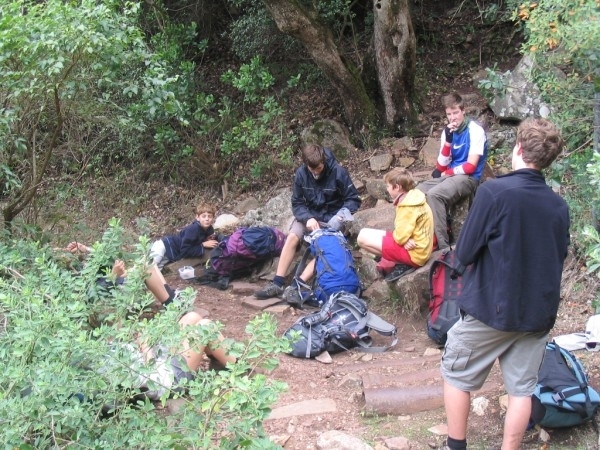 After lunch, the scouts followed a basic orienteering course, practising their compass work until darkness fell. We visited the Hike Leaders Badge participants who were staying at the Peoples Hut and cadged some candles since the solar powered batteries were not recharging fully. 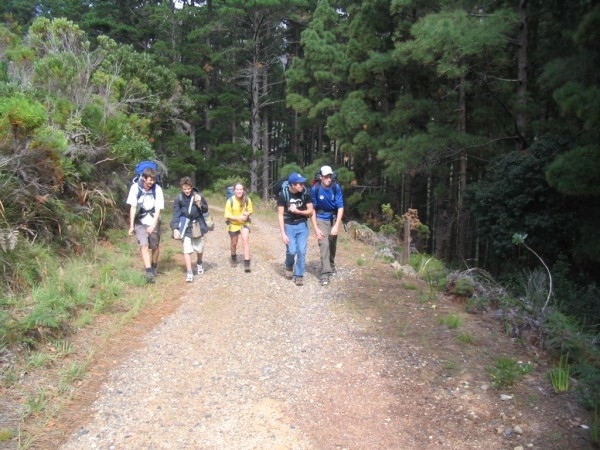 Some discussion on hiking equipment rounded off the day. Tuesday dawned still cloudy and we opted to take the quick route down Constantia Nek in the hope that we would get down before getting rained on. As it turned out we ended up getting deluged in the last 30 minutes of the hike, such that water poured out of our boots. We found out later that Cape Town had been rained on extensively over the weekend while on the mountain it stayed dry… which made for a great 4 day hike!